Even Fido and Mittens are going organic. The nation's dogs and cats are being fed record amounts of organic pet food — especially by singles, aging baby boomers and empty nesters looking to spoil their pets. Some pet-food makers going organic include Newman's Own, Natura Pet Products, and Castor & Pollux Pet Works. Some of our favorite pet stores selling mostly orangic and healthy dog food are below. Whiskers Holistic Pet Products - New York, NY (235 East 9th Street) - Don't even whisper the words "Fancy Feast" or "Alpo" at Whiskers. Once you speak with the animal-loving, holistically minded owners, you'll never go back to supermarket brands. For advice and recommendations--without pushiness--and to really engage in serious petspeak, this is the place. The selection of natural and organic pet food brands is excellent. For fanatic pet-owners, Whiskers sells home-cooked preparations packed in little Chinese takeout boxes that look good enough to share with your furry friend. The selection of natural and homeopathic remedies and vitamins is unsurpassed, and the eclectic toys and treats section has a good variety of catnip-filled forms for even the most jaded New York kitty. Natural Pet - New York, NY (238 3rd Ave, (212) 228-4848) - Natural and organic products to keep your dog, cat, and other furry friends healthy and happy. Carries our favoirte brands such as Newman's Own Organics . Pet Elements - Seattle, WA (6701 California Ave SW, (206) 932-0457) - Independently owned pet store in west Seattle. Healthy funky and fun. All of Pet Element's food for dogs is organic & natural. For Other Living Things - Sunnyvale, CA (1261 S Mary Ave, (408) 739-6785) - Specialize in creating holistic pet supply products for dogs, cats, small animals and birds. The shop has been Anita's dream since grade school. 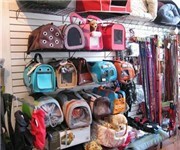 What sets them apart from other pet supply stores is the thorough research they do on their products. "As animal lovers, and animals ourselves, we have a responsibility to care for this world that supports us all. For Other Living Things strives to locate and provide products that work just as well or better than conventional products, but don't exploit our people, critters or planet." Urban Leash & Treat - Portland, OR (888-858-6396) - Urban Leash & Treat provides natural and organic pet products. Our products meet high standards for quality and integrity. 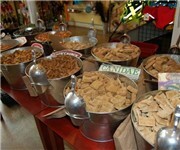 We offer human-grade food treats made from natural and organic ingredients. We favor locally-sourced products made from sustainable materials. We believe that our pets are full-share family members who deserve the highest-quality food treats and supplies. Green Dog Pet Supply - Portland, OR (4605 NE Fremont St, (503) 528-1800) - Green Dog Pet Supply specializes in environmentally friendly pet supplies and gifts for dogs, cats and their people. "Located in Northeast Portland in the beautiful state of Oregon, we strive to make it easy for our customers to find fantastic products for their pets and be assured that they are also making good choices for their environment. We believe that living sustainably does not have to mean making drastic changes in our lives. Simply considering where things come from and where they go when we're finished with them can be a big step towards living a more environmentally friendly lifestyle." Paws 'N' Play - Arvada, CO (7403 Grandview Ave, (303) 420-2525) - "Paws 'n' Play is a unique store that specializes in healthy foods, treats, supplements, supplies, and gifts. Our belief is that feeding good quality food makes for a healthy and happy pet, which in turn makes a much happier person! Because we are small, we focus on the individual needs of our clients, whether they have two legs or four. Paws ‘n’ Play carries a wide variety of dog and cat foods and treats for the healthy, happy pet. Our foods are high quality foods with only natural ingredients. They have no by-products, no chemical preservatives and wheat glutons. We do not carry foods with the useless fillers that can be found in many 'grocery store brands'." 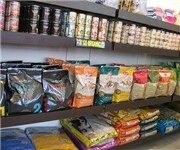 Pet Food Express - San Francisco, CA - A San Francisco Bay Area, locally owned holistic pet food & supply store. Pet Food Express is one of the country's leading independent pet food and supply retailers. With 34, stores, all located in the Greater San Francisco Bay Area, Pet Food Express is the eighth largest pet specialty retailer in the USA. Holistic Hound - Berkeley, CA (1510 Walnut St, (510) 843-2133) - "We specialize in natural and complementary pet care for many common problems such as allergies, separation anxiety, arthritis, fleas etc. including homeopathy, flower essences, herbal remedies, vitamins & supplements. We also carry the highest quality human-grade foods and a beautiful. 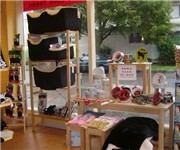 unique selection of collars and leashes, ecologically friendly beds and toys and natural care books. Services include homeopathic and nutritional consultations, anesthesia-free teeth cleaning, free delivery in Berkeley and educational seminars and talks." The first ingredient is the most important because there is more of that ingredient than any other. All dog foods and cat foods must list the ingredients of their food in order of weight. The top 10 ingredients usually comprise 80% or more of a dry pet food’s entire formula and give you a real insight into the formula’s overall quality. Some dog food and cat food brands define their ingredients in several different ways so that the ones of lower quality appear further down the ingredient list. For example, a product list could contain chicken, ground corn, corn gluten, ground wheat and corn bran. And, if you were to group all of the corn ingredients as one, they would probably far out-weigh the amount of chicken in that food. Be sure to read all of the ingredients at the end of the listing to know if any artificial preservatives and colorings are being used. The kinds of ingredients you’ll find in healthy pet foods. Now that you have a basic understanding of how to read a label, it’s important to know the specific ingredients that comprise healthy dog foods and cat foods—as well as the ingredients that should give you pause. Real meat, such as chicken, fish or lamb, is a source of high-quality, highly digestible protein. Proteins are essential for growth, maintenance, reproduction, repair and energy. Whole grains such as brown rice, barley and oats supply complex carbohydrates to maintain your dog or cat’s energy level. Veggies and fruit provide essential phytonutrients, antioxidants and enzymes, plus natural vitamins, minerals and fibers that have been shown to promote health and wellness. Surprisingly, many leading dog foods and cat foods contain the ingredients below, which are not of the highest quality. Poultry [Chicken] By-Product Meal consists of the ground, rendered, clean parts of the carcass of slaughtered poultry, such as necks, feet undeveloped eggs and intestines, exclusive of feathers, except in such amounts as might occur unavoidably in good processing practices. Artificial color and chemical preservatives like BHA, BHT, ethoxyquin, and propylene glycol. They provide no nutritional value and have been associated with possible toxic side effects. Corn, wheat and soy have been linked to allergic reactions in some dogs and are not as easy to digest.